Skin & Beauty Center (SBC Dermatology) (Glendale) - Book Appointment Online! Skin and Beauty Center (SBC) is a full service clinic providing exceptional medical, surgical and cosmetic dermatological care. Appointments must be confirmed. Visit our website at DermLA.com for more information about our services and important office policies, including: office will call to put credit card on file which is MANDATORY, $50 cancellation fee for any appointment that is not cancelled or rescheduled with a minimum of 24 hours notice, office collects patient's responsibility (copay, coinsurance, deductible) at the time of service. 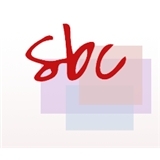 SBC is NOT contracted with HMOs. I love how friendly and efficent this office is - also, they are up to date with the latest technology and treatments. Fast, confident and efficient. Would return. The office was very professional very clean and the staff were very nice and helpful . The doctor came in and was very confident that he could help me with my acne, I am very pleased about this. I had been through my network for over two years, with no great results. Awesome doctor and staff would highly recommend. My visit was very good. Dr. Chan was professional, friendly, VERY helpful. Explained things in great detail. I highly recommend her to all potential patients. I left my appointment feeling good and much more informed. She cares and it shows.